Can't decide between cheesecake and pie? 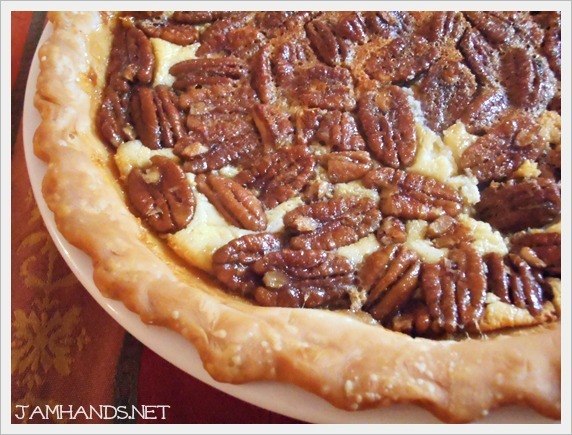 Have both with this delicious Pecan Cheesecake Pie, recipe courtesy of Inside BruCrew Life. 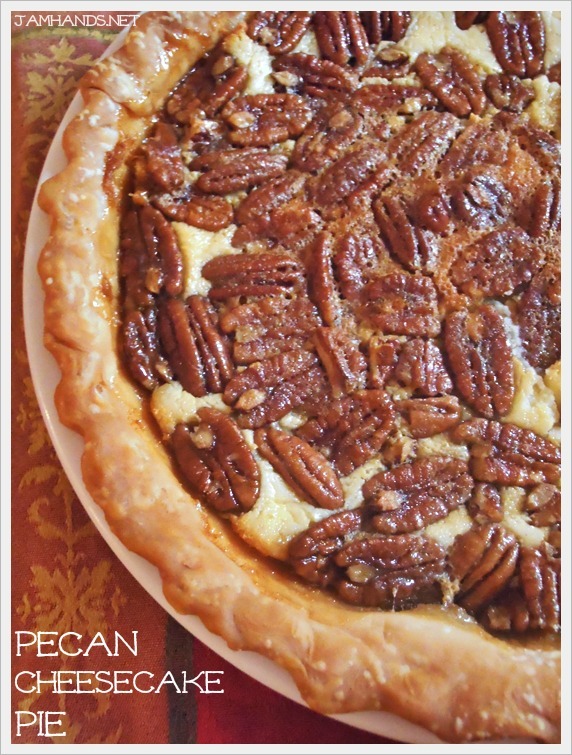 I love both cheesecake and pecan pie so this was a winner. Please see my notes for more details. Enjoy! ~ When I use premade pie dough, it has a tendency to fall apart when I try to serve the slices of pie. This could be due to a few reasons, one being that my favorite pie plate is deep dish and I am stretching the crust too thin to fit it. Or, it could be because the pre-made pie dough isn't the best option. ~From here on out, I am going to be making homemade pie crust. I would recommend that you try the same, unless you have a favorite pre-made pie crust brand that you know and trust to not fall apart. Once I find a great recipe I will be sharing it on the blog. If you have a favorite please leave a comment with the link. 1. Spray a 9 inch pie plate with non stick baking spray. Press the pie crust into the pie plate and crimp the edges. 2. Beat the cream cheese and sugar until creamy. Add the egg and beat again. Spread in the bottom of the pie crust. 3. Whisk together the dark corn syrup, eggs, sugar, butter, and vanilla. Stir in the pecans. Gently spoon the mixture over the cheesecake layer. Cover the edges of the pie crust with strips of foil, so it doesn't burn. Bake at 350-f degrees for 50 minutes. 4. Remove from the oven and let cool completely. It will be puffy when it comes out, but it will sink as it cools. Keep refrigerated. Cut into 12 slices. Recipe from Inside BruCrew Life. Ali, I just made this recipe. In fact, I just ate a slice moments ago. It tastes SO good. Definitely "a keeper" My family loved it. I offered them the recipe. They'd prefer that I make it and give it to them. LOL!